The folks at Days of Y'Orr were nice enough to write a season preview for our friends to the North in the Boston Bruins. They have a great site and provide content in a humorous fashion, and they deserve a follow even if you aren't a Bruins' fan. They can be followed @DaysofYOrr and individually @JustinDOY, @PezDOY, @JonFDOY, @RobbPizzDOY, and @Purrgeron. Long answer: Nothing because Peter Chiarelli handed out horrible contracts like tic-tacs at a halitosis convention. 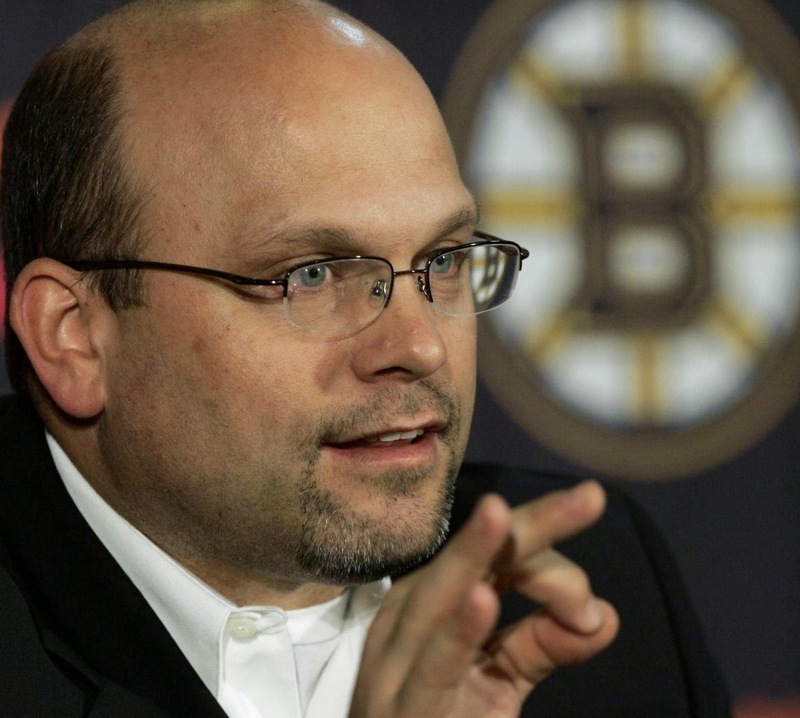 Everyone and their mother is aware of the cap situation that the Bruins are in and the only person that Peter Chiarelli can blame is Peter Chiarelli. I made a pretty lengthy post on the matter but Chiarelli has mismanaged the Bruins salary cap for a couple years now with bad contracts, bonus incentive contracts and no movement clauses. What is the biggest surprise this off-season? - David Krejci's extension. I didn't think it would be for that much money but given the amount of nothing Chiarelli has done it is probably the only thing he could do. - For the offseason? I would have used my two compliance buyouts on Adam McQuaid and Chris Kelly if they were both deemed healthy. If not, I would have used one on Gregory Campbell. Boston not using any of the buyouts was pretty silly considering they have about 9 NHL ready defenseman and kids in the minors who are ready to make the jump the the NHL. I would seriously find a suitor for Milan Lucic because I don't think he's a 6 million dollar player and the idea of him getting a new contract in a couple years scares the senses out of me. Chiarelli loves his 2011 team and will do anything (as witnessed with the Kelly extension) to keep them around. Hell, he got Seguin to sign a super team friendly deal and then traded him away to make cap room for Nathan Horton. - Radim Vrbata but the Bruins don't have enough money to sign who they have. 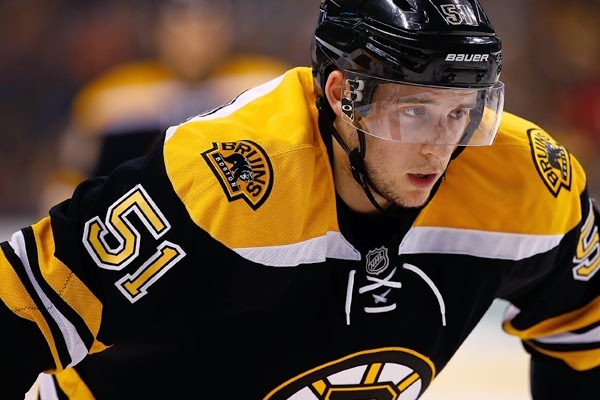 - If Ryan Spooner gets a legit chance to show what he has, I think he'll open some eyes. He's a good, offensive talent in the AHL but the Bruins have never really given him a shot. The most time he has seen in one NHL season was 23 games. If you put him with some offensively competent people (see: not the fourth line), he'll make some things happen. - No. A lot of people think David Pastrnak is going to make the team, but this team hasn't really shown that it is "rookie friendly". In Seguin's first year he played 11 games. In Dougie Hamilton's first year he played 42 games. If Pastrnak does make the team it is because the Bruins right wing depth is really, really bad. - Right wing. Reilly Smith is still currently unsigned. David Pastrnak is a rookie. Dan Paille is barely a third line player. Jarome Iginla is gone. The Bruins right wing depth is horrendous. - Johnny Boychuk will be traded at the deadline if he wasn't before then. - Honestly? I think the Bruins finish second in the Atlantic behind Montreal and are probably bounced in the first or second round. I think Boston, Montreal and Tampa will battle throughout the year (if all are healthy) for the three spots. If Bishop is hot and Stamkos is healthy I think they can beat Boston.